Congratulations – you have decided to open your home to a foreign exchange student, an experience that can be incredibly satisfying, exciting and may even cause you some serious culture shock. Many host families find that they become lifelong friends with their student and keep in touch long after the student has returned home. For a student studying abroad, the experience can also be life-changing, and a welcome alternative to an anonymous hostel or dormitory. They are going to be exhausted. One of the most important things you should know is that when your student arrives with you, their chosen host family, they are almost certainly going to be tired, overwhelmed and nervous, although they may not come straight out and tell you that. They want to learn your family’s routine, and how things work. 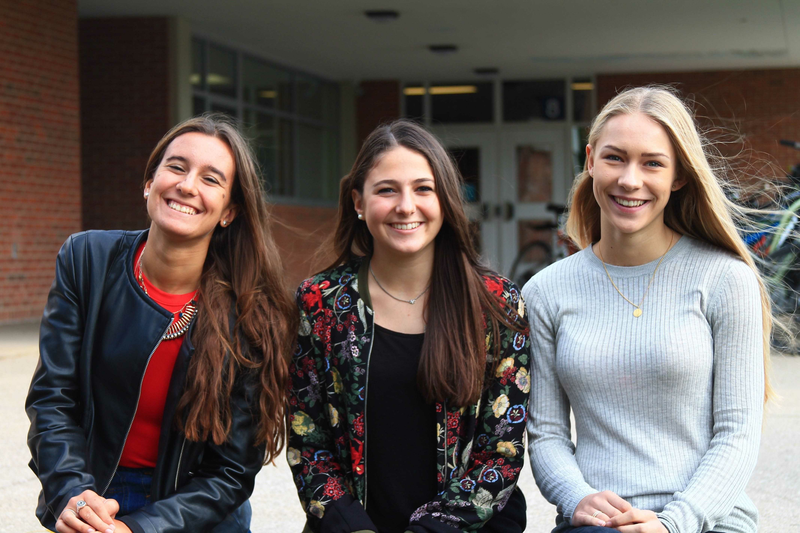 Most foreign exchange students appreciate having an overview of all the essential things they need to know – how the shower works, the names of the people they will be living with, and what the immediate neighborhood is like. But keep in mind that they may not take all that in as soon as they walk through the front door; a rest or a good night’s sleep might be called for once you have made the initial introductions. Attempting to adapt to unfamiliar routines and rules can be just as daunting as tackling the language barrier, and the host family should give their student some idea of what is expected as far as a routine, meal times, any curfew, or anything else they might need to know. A written manual to your household and your routine might be a good idea, as many students are too shy or nervous to ask questions or ask for help. They need you to understand their personality. Understanding the personality of your foreign exchange student is also essential to ensure a positive experience on both sides. He or she may need their alone time and may retire to their room after dinner, or they may sit and watch TV with you all evening. Most students who are studying abroad are outgoing, friendly and curious. Most wouldn’t have signed up for such an experience if they didn’t want to travel, meet people, and experience a foreign culture. But that doesn’t mean they may not be shy. They want to know your rules. Some students will likely be wary of violating any unwritten rules you may have. As a host family, you probably have family rules that have been in place for as long as anyone can remember, and your foreign exchange student is anxious to follow those rules. Whether you won’t budge on eating as a family at the kitchen table, taking your shoes off before entering the house, or keeping the dog off the furniture, it’s important to explain these rules clearly so that they can abide. Yes, there are cultural differences, but you shouldn’t be afraid of enforcing your family guidelines. In regards to religion, your foreign exchange student may well have completely different religious beliefs and practices from yours. They want their views to be respected, just as you do yours. They are here to learn about your culture. Finally, don’t forget that to a foreign exchange student studying abroad, what you see every day may be fascinating and new to them. Your student may want to immerse themselves in the culture and traditions of the United States, and experience as much as possible. Of course, they are here to study, but as their host family, taking them to the local diner, a drive-in movie theater, a baseball game, a parade or a good old-fashioned cookout can create wonderful memories. If you live in town, take them into the countryside for something different; if you live in the suburbs, give them a taste of the nearest big city. Being a host family to a foreign exchange student is perhaps one of the most rewarding experiences there is; following the tips above can make it even more special. Take a moment to think back to when you were a little boy or girl. What do you remember the most about your childhood? From Saturday morning cartoons and cold cereal to playing board games around the dinner table with your grandmother, the memories that we make in our lives stem from spending time with loved ones and sharing in a ritual that defines our relationship as a family. These rituals can not only hold a family together but keep bringing them together as the years go by. If you are looking to bring your bunch closer, here are 5 ways to help make rituals easy and special for all of you. Even your au pair. Events that happen just once in your life may seem pretty special at the time, but events that happen over and over in your family’s life can become memories that last a lifetime. For example, if you held a 50s style party once – you would remember it, but if you did it every year or every month, then you would never forget it. When you are consistent, it can show children that life’s good moments can be consistent. It is the negative ones that are only temporary. From going to sporting events on a regular basis to gathering together for worship inside or outside the home, when you make an event a regularity you create a memory that stays in the forefront of their minds forever. An exchange student changes the dynamics in your family so it will take some work to figure out where their role will fit within your family. Your new family member may change your rituals or even introduce you to new ones that they enjoyed with their family in their home country. Encourage your exchange student to develop their own rituals with your children. This will deepen their bond and it will also give them lasting memories of your extended family member. It will help them to remember the time they shared when they shared their home with someone who learned to love them like a sibling. Every ritual began as a change in the life of a family. Parents have to decide that a change is necessary in order to create a ritual that sticks. Introducing their children to a special routine like snowball fights every first snow of winter or water balloon fights every Friday in the summertime when a parent introduces the ritual to their children and makes sure to be persistent — they create change that becomes a ritual. This consistency also shows your children that you can be trusted by them. It shows that you will persistently be there for them throughout their life to help them create good memories, deal with difficult moments and get through life together. Rituals are an important part of bonding your family together and they can also help to welcome your exchange student into the family, showing them that they matter to you and that you care about them as extended family. It can really help your exchange student to feel like they belong when you include them in your special rituals. Being so far away from home, feeling included can make all the difference. Be sure to ask them about their own rituals and traditions and try to work these activities into your home as well. It is a show of respect to your new family member and further bonds you to the newest member of your family. *Helpful Hint: If you are having trouble including your exchange student or au pair into your rituals, try creating a new ritual together. As a host family, welcoming a foreign exchange student into your home can be almost as overwhelming for you as it is for the student. And while it’s true that not all student hosting experiences are the same, almost without exception every family who takes the plunge will have a rewarding, enjoyable and memorable experience. If you still have your doubts – and it’s normal to do so – the following might help you to realize that it’s a wonderful thing to do. Of course, being a host family to a foreign exchange student is one of the best learning experiences you can have – almost as good as actually traveling overseas yourself. Picking up the language here and there is only the beginning; a foreign exchange student in your home can teach you about their country’s history, culture, and traditions. Preparing and eating an authentic meal from your student’s homeland can also be a fascinating shared experience. Hosting someone from another country in your home allows you to not only experience their culture but to also see your own life and routine in a whole new light. Although you may take these things for granted, many overseas students have never enjoyed a backyard cookout, been to a baseball game, or decorated the house for trick or treaters on Halloween. To share these experiences with someone else is a unique opportunity to see your own life differently, and to appreciate what you have. Even taking your student shopping at the local store, or getting the kids after school can be exciting for someone who has never actually done that before. It’s no exaggeration to say it can even be a humbling experience. Sometimes we all just have to make ourselves step out of that comfort zone and do something that might surprise others, as well as ourselves. If you have never seriously thought about hosting an overseas exchange student, ask yourself why you wouldn’t want you and your family to have this experience. Sure, it means more laundry, more dirty dishes, buying extra food every Saturday morning, but the benefits far outweigh any drawbacks; just about every host family wonders why they had any doubts in the first place. Most matches are entirely successful, and most students remain lifelong friends with the family who hosted them in a strange country all those years ago. Some students even return the favor at some point in the future and welcome the host family into their own home. Having an extra person in your home also makes it easier for your family to interact as a family; meals are taken together more often, and family activities suddenly become more appealing to your teenage kids when a foreign student comes along. And if your kids have moved out and you don’t especially like the empty nest feeling, the advantages of being a host family are obvious. World peace may be an elusive thing, and of course, we can’t bring it about with by ourselves, but you can play a small part in contributing to the overall relations between the US and the rest of the world by hosting a foreign exchange student. Keep in mind that students from some countries may have a negative view of the United States, its policies, and what it stands for, depending on the news coverage in their country. Becoming a host family is your opportunity to set the record straight in an admittedly small way, and show the world that you can find good people anywhere, despite what they might have expected. Imagine the overall positive effect if every family in America with a spare room decided to give it to an overseas student. You really can make a difference, and there is also a lot to be said for simply knowing that you’re helping someone others enrich their lives and experiences. It’s normal to have second thoughts about this hosting process, and they often happen on the day you are expecting your foreign exchange student to ring your doorbell. Remember that the student is probably a lot more apprehensive and doubtful that you are — after all, you haven’t even left your home. They have traveled halfway across the world and left friends and family behind. Again, it’s worth pointing out that almost every host family and every student has a positive experience, and your story won’t be any different. Shanghai and Beijing are proving to be attractive destinations for the adventurous foreign exchange student. Both are international cities with established expat communities and numerous international schools that offer various courses along a wide range of disciplines. Taking up a course in either of these cities is also a proven way to brush up and even master your Mandarin! Beijing, which is the political capital and Shanghai, the financial capital, both offer amazing opportunities for education if you are looking to take up undergraduate or further studies. Both cities also offer a unique and in-depth look at Chinese culture as you immerse yourself in daily living in school and in your communities. Beijing is known for its dry and frigid winters and hot summers. Shanghai enjoys more humid summers, mild weather in spring and fall and very hot summers. Students who are picky about local climates, especially those dealing with allergies and seasonal health issues should look at the different climates in both cities to see which climates are more suitable, and easier to adapt to. Being the cultural and political capital of China, Beijing is home to numerous historical and cultural attractions that draw visitors from all over the world. These include the Great Wall and the Forbidden City. Traditions and values are widely kept among the majority of Beijingers which is seen in their local attractions. Famous attractions include the Peking Opera and the Wanfujing Street Market. Shanghai has a thriving expat population so you see numerous international attractions in the city such as Disneyland, malls, hotels and resorts. Sightseeing is also one of the main activities in Shanghai. People flock to The Bund, which is where you can see the world-famous Shanghai skyline. It is also home to the French Concession which is dubbed the Paris of the East due to its French colonial history. With a large expat population, Shanghai is definitely a great option for those looking for an international feel even while living in a Chinese city. There are schools located in Beijing that do not have campuses in Shanghai and vice versa. Your course will often determine which city you eventually live in so it is important to look at universities and what courses they offer before making your decision. Both cities have national and municipal universities and private schools that accept international students. Courses are varied ranging from political science to finance courses, social studies and the arts to medicine and law. There are many universities such as Tsinghua University in Beijing that offer graduate level courses in English. Beijing is also home to other notable universities such as Peking University and BLCU. Shanghai, on the other hand, is home to Fudan University and Jiaotong University. Shanghai is more expensive than Beijing, especially when it comes to food and accommodations. For example, a meal in McDonald’s may set you back more in Shanghai than in Beijing. Apartments also cost more, with units 500-1000 kuai more expensive in Shanghai than in Beijing. University tuition prices are not exempted, since they cost more in Shanghai as well. However, there are many student-friendly accommodation and meal options in communities surrounding most universities and your host family, if you decide to stay with one, can help you make wise buying decisions so you can learn to stretch your kuai in areas that matter. Beijing and Shanghai both offer rich academic experiences and opportunities for the global student. However, you can choose which city is the best fit for you by looking carefully at what each city has to offer and what your preferences are. With the right choice you can enjoy your life as an international student as you study and get to know local Chinese culture even more. Congratulations – you have made the life-changing decision to study abroad as a foreign exchange student and stay with a host family in New Zealand. While Asia and Europe are understandably at the top of the list for many students, you may also want to consider New Zealand, a country well known for its stunning scenery and laid-back lifestyle. Like its neighbor Australia, New Zealand is well known for its casual and relaxed lifestyle, where spending time relaxing outdoors or at a cookout is just as important as working or studying. And like Australia, New Zealand has always been something of a melting pot, attracting people from all over the world looking for a better quality of life, although the country’s native Maori culture still thrives. The diverse population is reflected in the diversity of the food, and the culinary emphasis is very much on fresh, healthy and organic fare. If you visit here as a foreign exchange student, sooner or later you will probably be invited to a barbecue or cookout. When that happens, you can expect to be served fresh and tasty meats, fish and a choice of vegetables, instead of the usual burgers and hot dogs. New Zealand arguably has some of the most beautiful and spectacular scenery anywhere in the world. Even if you have never visited the country before, if you have seen any of the popular Lord Of the Rings movie trilogy, you have already had a tantalizing glimpse of what to expect. Snow capped mountains, fjords, lakes and rivers, and miles of unspoiled forests await you when you have some free time as a foreign exchange student in New Zealand. The country’s most famous and visited tourist attraction, Milford Sound, is a World Heritage site and has been described as the 8th wonder of the world. Away from the sparsely populated countryside, the major cities of Auckland, Wellington and Christchurch offer everything you would expect in the way of shopping, nightlife and dining out, arts and culture and sporting events. Wellington is the most southerly capital city in the world, while Auckland was recently voted one of the world’s most livable large cities. And Christchurch may make you think that you are in England rather than in the southern hemisphere. If you love exploring the great outdoors, there is no better destination than New Zealand. The residents of this small country like nothing better than skateboarding, mountaineering, skiing, white water rafting and bungee jumping; in fact, the sport had its origins in the country, and some of the highest jumps anywhere can be found here. Queenstown has become known as the extreme sports capital of the world, although wherever you go, there are always plenty of sporting options available. Of course, you don’t have to be into extreme sports to appreciate the country’s glorious scenery, and there are plenty of tours available, allowing you to enjoy the best scenery New Zealand has to offer at a more sedate pace. Pacific, and over a dozen of its subjects are ranked in the top 50 in the world. Like the other colleges, the University of Auckland prides itself on making overseas students and staff feel welcome and some of the subjects on offer at the country’s universities sound intriguing. Some of the courses offered include wine studies, anthropology and Maori/Pacific studies. If your goal as a foreign exchange student is to travel, New Zealand makes an obvious choice. In fact, you can’t travel much further than that – the country is literally on the other side of the world. It’s different enough to feel exotic and exciting and make you realize you are in a foreign country, but at the same time has many of the familiar trappings of home. And of course, they speak English in New Zealand. The high-quality food, welcoming and easy-to-get-along-with people, wonderful scenery, and opportunities for adventure sports and enjoying the great outdoors, make New Zealand a choice destination for travel. When it comes to a study abroad program, there are a lot of factors to decide on. Not only do you need to determine what country you want to travel to, you need to decide if you want to stay in a rural area or in the city. You may think that this will be something easy to decide on, but once you start researching, you may find that it becomes harder. 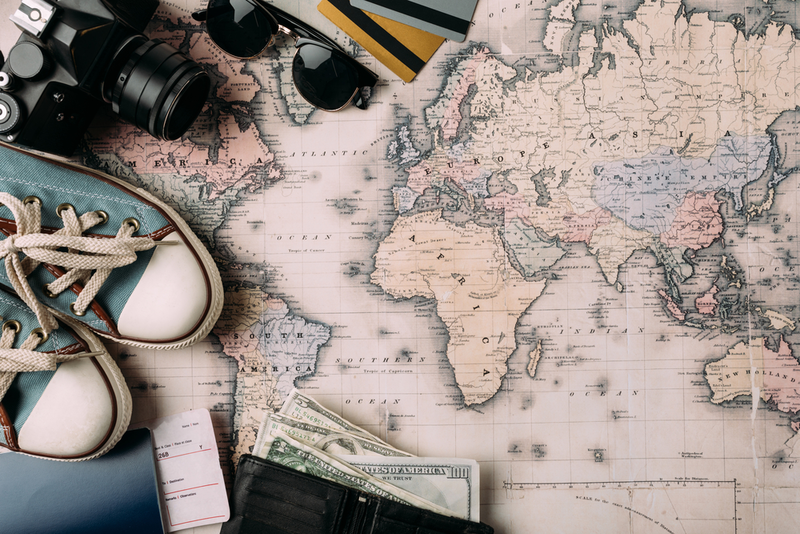 With that said, there are a variety of factors you will want to consider for both locations when you are trying to decide on a foreign exchange student program. 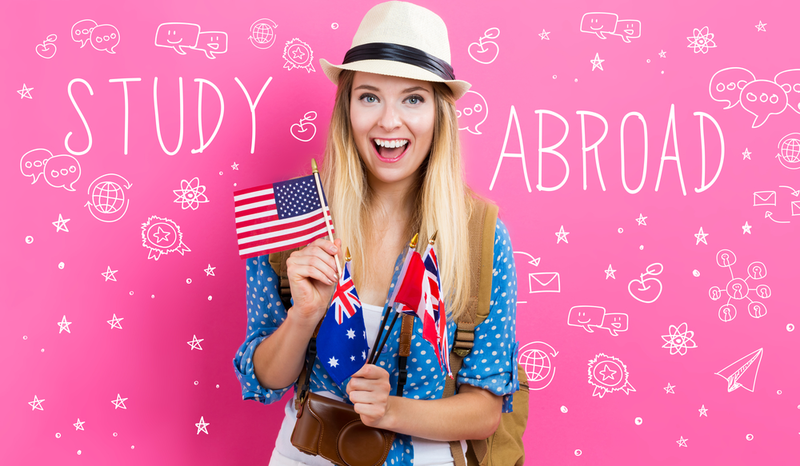 When considering a study abroad program, the first things most people consider is going to a large international city due to all the opportunities there. They have seen pictures in magazines, the Internet and in movies and want to experience it for themselves. There is also reliable internet, television and public transportation to get around. Depending on the age of the foreign exchange student, there are a lot of other elements such as clubs and dancing. Cities also tend to have a lot of cultural areas such as buildings, museums, public sights and attractions to keep you busy. While you are visiting these places, you will probably be exposed to a lot of different people and a variety of languages which can enhance your experience. One benefit to a large city is that you will be able to find things that are familiar when you are having a bit of homesickness. There will be a variety of shops that you can buy food you know and may even be restaurants that also reflect your home’s culture. It may be easier to find other foreign exchange student to talk to and learn what you should and should not do while you are there. But, as with everything else, the above come with a price. In a big city, the cost of living is much higher. The cost of living, food and entertainment can be significantly more than where the student is coming from and can cause both financial distress and culture shock. For someone who does not have a lot of money, it can be a huge when looking at the various study abroad programs. Not only can a person experience shock when they travel elsewhere for school but they may also have a lot more distractions. If they come from a small community, and now have access to a large city, it may be difficult to settle down to school work when there are movies, museums and any other variety of temptation outside their doors. Depending on a person’s personality, it may be more difficult to adapt and become comfortable, as traffic, population density, and many other factors can be overwhelming for new city-dwellers. It can be harder to function and get around which could result in some loneliness and isolation. If you are in a study abroad program where you stay with a family, they can help you to cope with the changes and get comfortable. If you choose to take a study abroad program in a rural setting, you will likely have a very different experience than others that choose an urban area. Rural areas tend to be more natural and have less of the amenities that you may find in a larger center. Typically, a rural foreign exchange student will be in a small center which will be less polluted, with less crime, and lower living costs. You will likely stand out as someone who is not from there which can be a good thing. People will engage you in conversation and want to know about life back in your home country and why you are visiting their country. Depending on the languages involved, this can be a good way to enhance your language skills and for them to practice theirs. It is hard to say what you may or may not have in a rural setting. You could be in an area that is only a few hundred people and has limited access to things like Internet and public transportation. You could be in an area that is close to a larger center and makes it easier for you to travel to a nearby city to explore. There is no right or wrong choice when it comes to where you should be a foreign exchange student. But it is important to figure out what you want to get from your study abroad experience when you are making your decision.